The youngest player to have ever won a Men's Singles title on the ITTF World Tour, the youngest ever Japan National Champion and now a prominent fixture in the top 10 of the Men's World Rankings, Tomokazu Harimoto, 15, has displayed skill well-beyond his years in the world of professional table tennis. 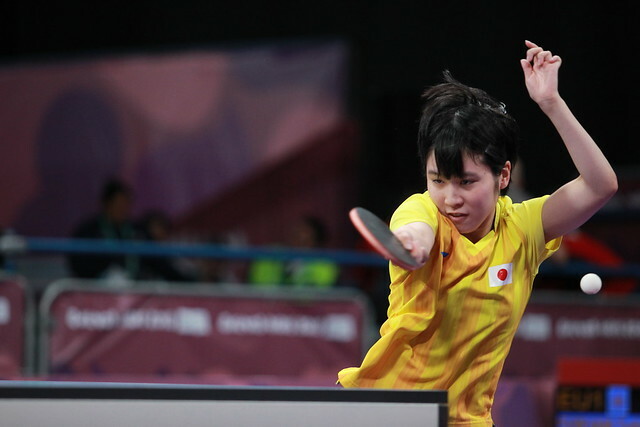 In just under a month's time the young Japanese star will make the journey to Argentina for the Buenos Aires 2018 Youth Olympic Games where he is expected to be a major challenger for international glory. Tomokazu Harimoto, who has emerged successful against the likes of Ma Long and Zhang Jike so far in 2018, will be looking to add his name to the list of Boys’ Singles gold medal winners at the Youth Olympic Games a feat which was achieved by fellow Japanese player Koki Niwa at the inaugural edition of the Games held eight years ago in Singapore. Ahead of his trip to Buenos Aires, Tomokazu Harimoto has spoken briefly with the official Olympic YouTube channel about the sport of table tennis, his goals for the upcoming Youth Olympic Games and his secret weapon.